Mind Like water - I hit the order button! Oğuz and I go back a long time. It is hard to say when exactly we first met, because it feels like he has always been around. It must have been some time in late 2000. We were both studying at the Conservatory of Amsterdam and hung out frequently. We went to the same concerts, played in the same bands. One of his compositions on the CD – Dağ - dates back to that time. Wow that piece is beautiful. I love how both instruments are starting out in unison, intertwine more and more, becoming more independent while still harmonizing with each other. Reminds me of the relationship with my beloved. Will this be on bandcamp or did you decide against that in the end? @h.ear.t Thanks... we are more like siblings, but love is love, after all, isn't it? Yes, we decided for Bandcamp! @Sophie Yes, now that you hinted at that, this pattern may as well be applied to all kinds of relationships ... interesting. I did not have you two in mind, but found that expressed within the music. :) It's just that the way the instruments interact remind me of that. And this is so poetic, so beautiful. I've got a "thing" with wind instruments. Nevermind the discipline... if it's classic music, rock'n'roll, funk, free-jazz dixieland or a school-marching-band... and everything in between. What you did here is to cover that "in between" on a level of perfection - I can't wait to listen to the album. Your "Clarinet Song" makes me hear a whole orchestra. Another proof that there's still no synthesizer or computer sampling loop able to re-create the feel between two real artists with souls alike. You just did it! @h.ear.t Of course you did not mean the two of us with your comment! 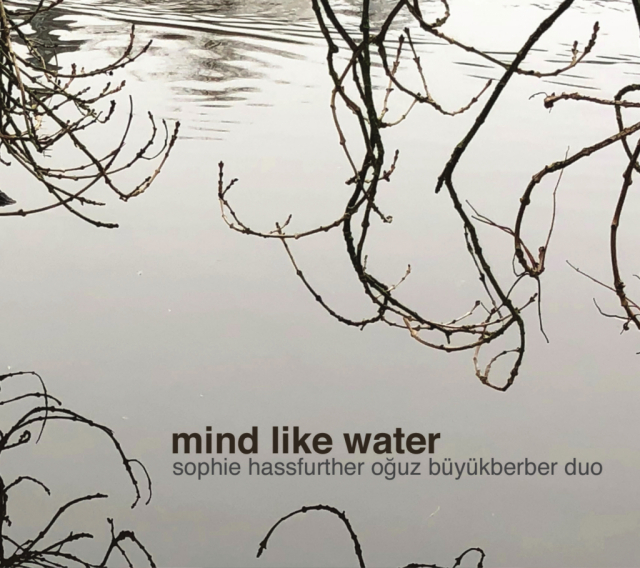 I wrote this piece specifically with Oğuz' and my sound in mind. At first I wanted us both to play clarinet on that one, but eventually decided against it, not to the disadvantage of the piece, I think. But hey, it absolutely is a relationship tune for me too! @BOET Thanks for your kind words! It makes very happy that I got you excited about the album! The in-between is what we do best, I think. We both cover wide fields of style, and play in various contexts. And we live in a time of "anything goes". If I had to put a style "label" on our music, I would not be so sure how to call it. It combines influences from Classical, Contemporary, Jazz and European Folk Music, we improvise a lot, and there are written out parts (this piece was written entirely, no improvising). We try to combine the written and the improvised parts organically, and blend the influences in styles. Good art can touch deep. This piece certainly did in my case. The artist's biggest fear, haha! Thanks again for what you said about our music, this is very much appreciated!